Trade Catalogues and Price Lists. 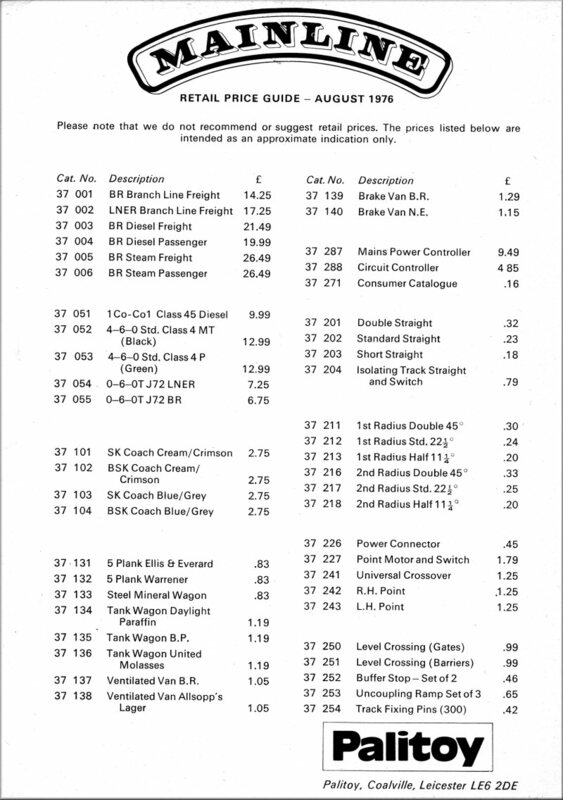 My first trade price list is dated 5th January 1976 and this is followed by one dated 4th August 1976. These go together with a Trade Preview Catalogue in black and white. This was followed by a 1977 Preview Catalogue again in black and white with a price list dated July 18th 1977. 1978 ditto with two price lists dated February 1978 in red and July 1978 in blue. 1979: Just price lists dated January 1979 in blue and July 1979 on pink paper. The 1979 catalogue was also available to shops with a hard cover and plastic spline. I was told this was so that it could be left for customer perusal. 1980: There are two versions of the catalogue. I understand because of a complaint there was an additional overprint on page 17 of a later version. This stated " N.B. The above model is assembled using components from an M & L white metal kit.". This refers to the illustration of 37079 Manor 7812 'Erlestoke Manor' in BR black. I wrote to the company asking for a retail price list and received a reply that they didn't supply such things. I then found one dated January 1980 together with the later version of the catalogue. 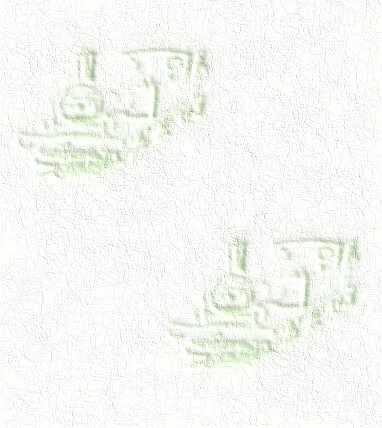 1983: A leaflet was issued entitled Limited Availability Locomotives, with Limited Availability Wagons on the other side. This is dated 1/83. Also in 1983 there were offers of free trips on a series of preserved railways. Finally 1984: In the main Palitoy catalogue there were 4 pages for Mainline Railways. 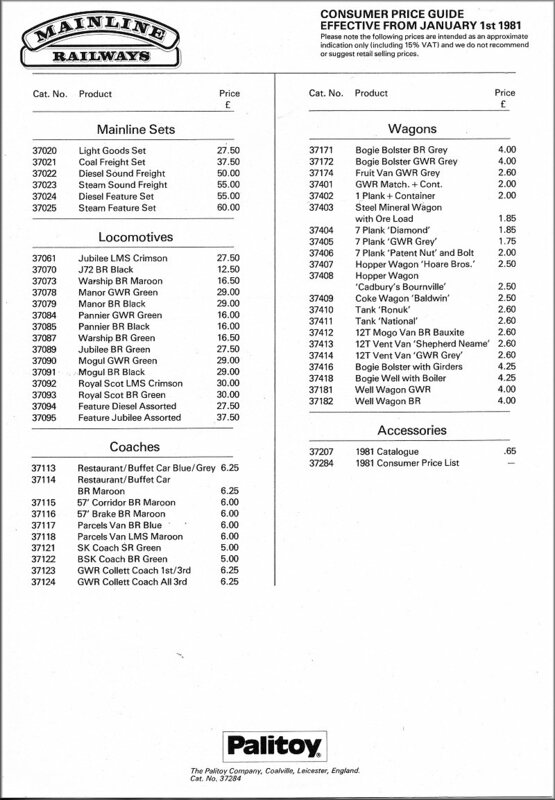 The full range available is shown in the price list which accompanied this catalogue.